Much like wine or coffee, honey has lots of naturally occurring different flavours, colours and textures. They vary depending on the country of origin and the type of flowers the bees visit. This is what makes our Rowse Taste Discoveries Honeys the perfect ingredient to sweeten your breakfast, naturally. Rowse Taste Discoveries Honeys are 100% Pure & Natural - just like nature intended: with nothing added and none of the natural goodness taken away. 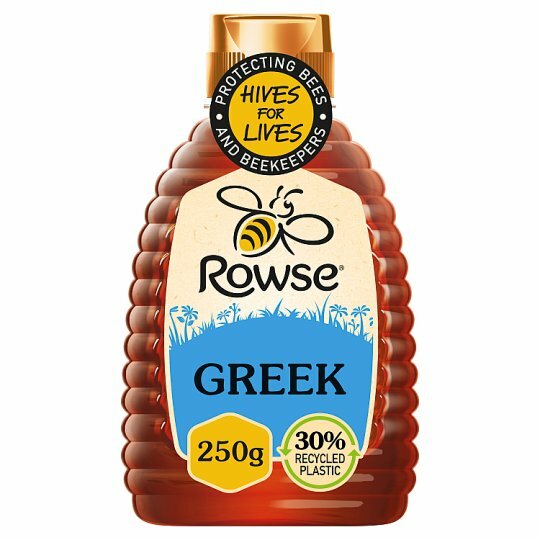 Rowse Greek Honey is made by bees that forage on trees in Greek forests. With its dark brown colour, this honey is herbal and earthy, and has bold notes of liquorice, aniseed and malt. Drizzle onto authentic Greek or plain natural yoghurt.